I am a Toronto sports fan, but also a proud Canadian. With that comes pride in our franchises, but also an ongoing agony that has only been made worse over the last few years. It all started with the MLB players’ strike in 1994. The Blue Jays were coming off of back-to-back World Series and even though their rein was at an end, the Expos were about to step into the limelight. They were the overwhelming favorites in the NL and as a young fan I was hoping for an all-Canadian show down. Then the summer hits and there’s all this talk about a strike, very confusing for an eight-year-old. Why would they not play? What could possibly be more important than winning a World Series? How dare they take away the chance for the Expos! The strike eventually ended, but so did Canada’s love of baseball. The Expos had to disband, they couldn’t afford to keep their All-Star roster, and the Jays’ title hopes had disappeared. They were only a shell of what they once were. They needed to rebuild. All of that was plain to see, what the sports media didn’t see was that they just destroyed grass roots baseball in Canada. The ’80s and ’90s were a boon for grass roots baseball in Canada because of the Expos and the Blue Jays. As the Jays got better, the participation in Ontario skyrocketed. New baseball diamonds were constantly being built, and new leagues were emerging. Statistics Canada reported that in 1992, 13% of all youth (5-14 year olds, male and female) were participating in organized baseball. Participation hit its peak as the Jays had won their first World Series and it had resulted in a generation of children growing up playing baseball with the hopes that one day they would play for the Blue Jays. “In 1998, baseball was in the top three in popularity, with more than 1.3 million participating nationwide. By 2005, it had dropped to sixth place, almost switching places with soccer which was in seventh place in 1998. Soccer ranked fourth overall in 2005”. I was part of this statistic. Standing in the outfield I would watch the soccer fields from afar. Hearing the cheering and laughter as the kids would run all over the field. And here I was, standing still. Stuck in place while my pitcher threw pitch after pitch, with hope slowly dwindling that he would serve up a softy and the ball would be hit in my direction. Maybe, once per game a ball would reach me, whereas the soccer kids were constantly running around and getting to kick the ball. What would you choose? I still loved baseball, and there was nothing better than getting to pitch. I loved having that big, slow wind up and firing that fastball in over the plate. I loved batting, despite that at eight years old the pitches frequently misfired and would come at your head. When I turned nine, the league changed to a pitching machine, and took away the threat of getting hit, but also the fun of pitching. That would be my last year. The draw of soccer got too strong. And so, like many others, I left the game I loved, for this new, foreign activity where you couldn’t touch the ball with your hands. 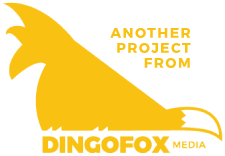 Within two to three years almost anyone I knew followed the mass exodus, if not earlier. Thus, the children who once hoped to play for the Blue Jays were now running on a soccer pitch trying to be Ronaldo. The dream was dead. Anyone who doesn’t see that the drop in attendance at the Skydome and the Big O was a result of the strike must have hidden under a rock. Less obvious was the impact on grass roots baseball. Just as a boom of children would start making the leap and have their talent bring them to the minor leagues and possibly the majors, the rug was pulled from under them. Without competition, you cannot take the next step. You need to be driven to succeed, but you also need someone that will push you to go that extra mile. That disappeared in a big way, as the best Canadian athletes retreated to soccer, basketball or hockey. Baseball didn’t completely fall off the map in Canada, as Brett Lawrie and all of the other products out of BC can tell you. There is still the odd player out of Quebec and Ontario to make it, but most never even gave baseball a shot. They grew up on soccer instead. By 2005, only 5% of Canadian youths were participating in baseball, whereas soccer had grown to a 20% participation rate. Adapted from Statistics Canada, General Social Survey, 1992 and 2005. The Blue Jays survived, unfortunately the Expos did not. Canada has one team. If you ever turn on Canadian cable giant Rogers Sportsnet, they’ll be sure to remind you of it. That has not put fans in the stands in recent years though. Last year, there was a buzz in Toronto and the sports landscape that the Jays were ready to compete. They had just come off a phenomenal Spring Training campaign and everyone couldn’t wait for the season to begin. The smarter media folk pointed out how the 1991 Jays were the last team to have a great spring, and that they failed to make the playoffs. What those media members failed to mention, is that the Jays won the next two years. A good Spring Training should mean that the team is deep and prepared for the season, however the games are mix of AA, AAA and major leaguers. In 1991 the Jays weren’t ready, neither were they last year. But they were close. You could tell when watching the games. They were a couple of pieces away. Upgrade and solidify a few positions and they should be ready. And boom. Twitter exploded. In the Alex Anthopoulos era, any rumor that made it to twitter meant that it would not come true. Call it AA’s Law. Much to my surprise, it wasn’t a rumor about the Marlins trading with the Jays, it was a done deal. Everything started moving at light speed. No one knew who was going where, but we knew the Jays were getting Josh Johnson. All of the sudden we were also getting Jose Reyes and Mark Buehrle. John Buck is also coming back, along with Emilio Bonafacio. Who did we give up to get these guys? That is a ton of talent (and contract money) headed our way, it couldn’t have come cheap. Did we have to give up our minor league pitching studs? Are Anthony Gose and Adeiny Hechavarria goners? Did we have to give up Lawrie, God I hope not. JP Arencibia or Travis D’Arnaud are definitely gone. Are we really going to be starting Buck every day and having Jeff Mathis back up? Uh oh. The smoke clears. Hech is gone, as is top prospect Noah Syndergaard. The price you pay for top talent. We had to give up Henderson Alvarez, which was fine in my eyes. He will make a great NL pitcher, but a guy who can’t strike out players can’t make it in the AL East. Gose is staying, which made me breathe easier. He’s such a dangerous runner, and if Colby Rasmus doesn’t show up next year, Gose will quickly find himself in center field. Yunel Escobar is off our hands. The ‘Tu Es Maricon’ fiasco had been the final straw, which killed his value, but AA worked his magic. All that is left is whether JPA or TDA was headed for Miami. No question in my eyes who to send. You want to contend now. You need a proven guy. You know JPA will give you 20 HRs, solid defense and a good clubhouse presence. In the end, somehow the Jays send Mathis and keep JPA and TDA. Wow. There must be more. There must be something we’re missing. Some money is headed our way for John Buck’s contract as well, and we send a prospect to Miami, but no other pieces. A few weeks pass, and with what seems like the annual NHL lockout, the city of Toronto is buzzing for the Blue Jays. Twitter starts buzzing about the Jays again. They aren’t done. How is this possible? We had just made that massive Miami trade and we even managed to get Melky Cabrera on a cheap deal because he was foolish enough to get caught doing steroids. We can’t possibly take on any more payroll. Yet, R.A. Dickey to the Jays keeps getting talked about. It’s a rumor, so AA’s Law says it won’t happen. I’m holding out hope, maybe it’s not dead yet. Maybe the Mets are just trying to leverage the Jays for a better return. They are just letting the rest of the MLB know to up his value. Reporters are tweeting that the deal is close to being done. Which one is it? Can AA pull it off again? Can he convince Rogers to spend more money on Ted’s toy? Yes. AA the magic man, strikes again. This time, we aren’t so lucky with D’Arnaud, but we shed Buck’s salary so that’s a positive. We also lost another pitching prospect, but this is easily a win for the Jays. We got the reining NL Cy Young winner for the next three years. Plus, he throws a knuckleball, my favourite pitch. It’s a rite of passage. My dad, cousin and myself can all throw a nasty knuckler. There’s nothing as amusing as when you play catch with someone and toss out a knuckleball and hear the slap as it smacks them in the palm, or to see them completely whiff at the ball like they are learning to catch all over again. 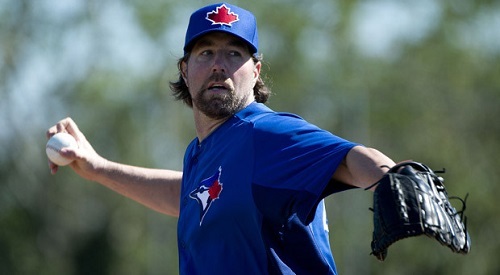 Dickey’s knuckler will have a huge impact. It’s bound to cause the rest of our rotation to pitch better. The batters’ timing is going to be off. It will take them at least an at-bat to readjust. And so, the Jays roster has received those pieces they needed, the upgrades have been made, and prospect pool has been depleted. The time is now. And the time is now for grass roots baseball once again. Hockey is in our blood as Canadians. Most youths will gravitate there. The big city kids will be able to provide enough competition for each other so that basketball will thrive. Summer is up for grabs. I love the beautiful game. I think it’s the perfect sport for youths who play basketball. It works on your footwork, endurance, and makes you learn how to anticipate your teammates and foes. Baseball is America’s past-time, but in my father’s generation, you played hockey in the winter, and when the ice melts, it was time for baseball. If the Jays can return to glory, a new generation of youth will gravitate to the game. If the Jays can sustain success, you will see the fruits of that labor in the future, 10-20 years down the road. Rome wasn’t built in a day, neither is grass roots baseball. The future of Baseball Canada is in the hands of the Blue Jays, and they are aware, working hard to restore the love of the game. Nothing cures like winning.